The primary goal of the Tunica Language Project is to foster the use of the Tunica Language. In order to achieve this, the team has focused primarily on producing classroom materials, training language instructors and coordinating immersion and teaching programs. 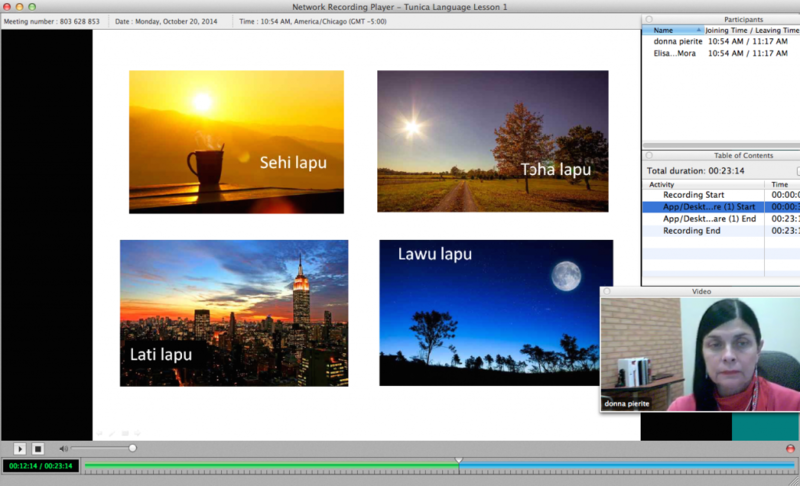 This page provides links to prerecorded language lessons (created by tribal members Donna Pierite and Elisabeth Mora), as well as a detailed account of the most recent immersion workshop held in January 2015. 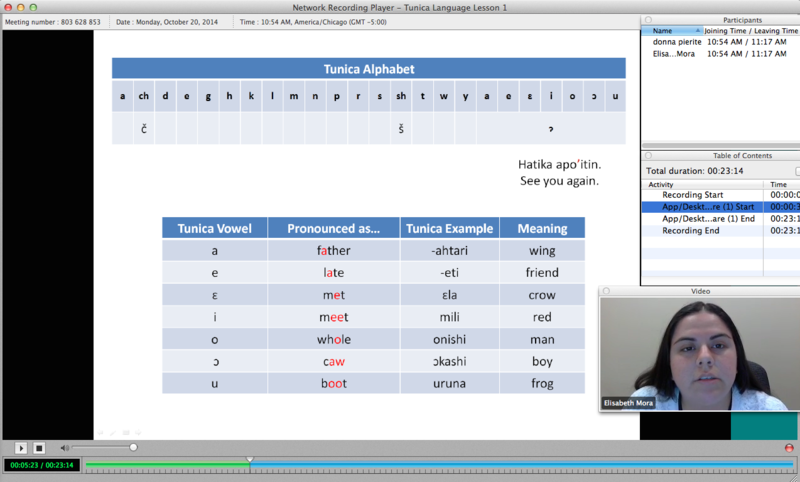 Elisabeth Mora parsing the Tunica alphabet via prerecorded lesson. Donna Pierite teaching Tunica greetings via prerecorded lesson.